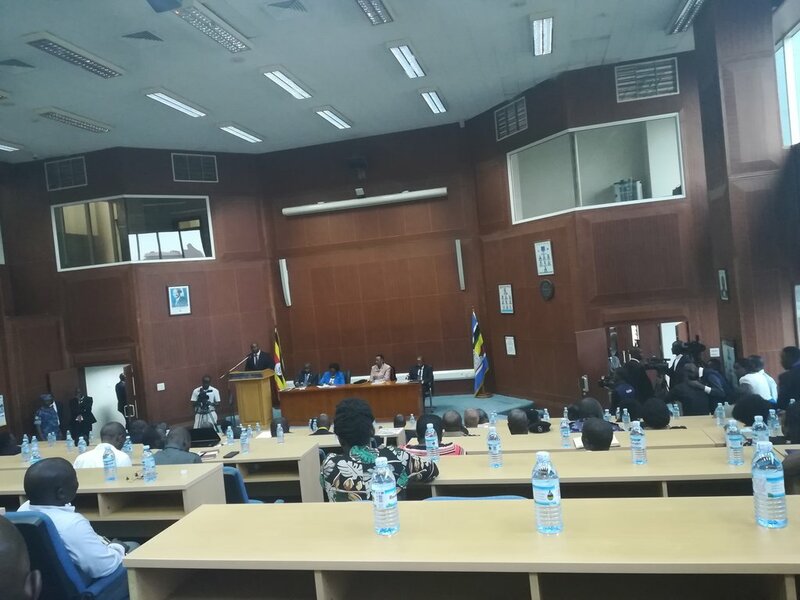 UBOS HOUSE – Education and Sports Minister Janet Museveni has Thursday afternoon released the 2018 Uganda Certificate of Examinations (UCE) results today at Statistics House in Kampala. This is the third time Ms Museveni is releasing UCE results ever since she was appointed the political head of the ministry in 2016. Exam results withheld reduced from 4525 in 2017 to 1825 in 2018. Of the 2017 withheld results, 1977 were cleared and released. Gender parity was nearly reached with males at 50.4% and females at 49.6%. Candidature levels improved from 0.9% in 2017 to 3.3% in 2018. 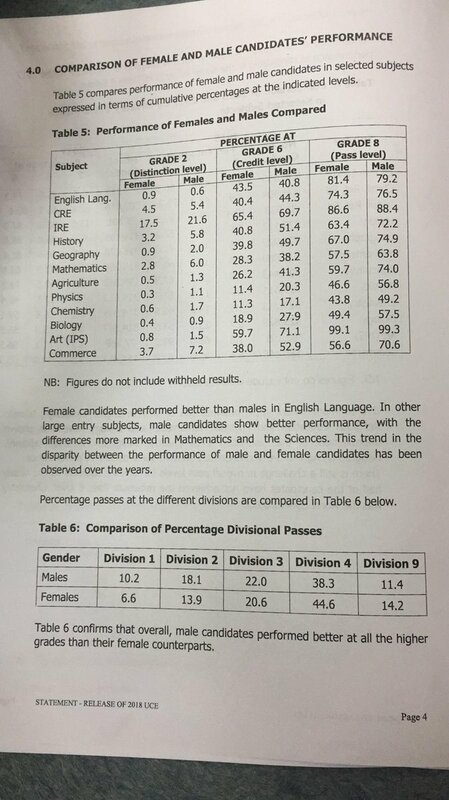 Girls performed better than boys in English and boys performed better in all other subjects. English and physics performance improved. 30721 candidates appeared for exams a 3.2% increase and there was decrease in absentee candidates. Luzira centre registered 43 students, 40 sat, none in division 1, 7 in div 2, 20 in div 3, 11 in Div 4, 1 failed, 1 in div 7 meaning didn’t sit all required subjects. 288,387 students passed, a rise from 287,350 in 2017. Math and biology performance improved at the distinction level. Skills of speech writing proved difficult for majority of candidates. Many candidates presented crammed passages where they were required to use original composition. Teachers have also trained students to cram hard inappropriate vocabulary. In many schools practicals are not done by candidates until the final exam. 90% of withheld exams are from the science field especially practicals.